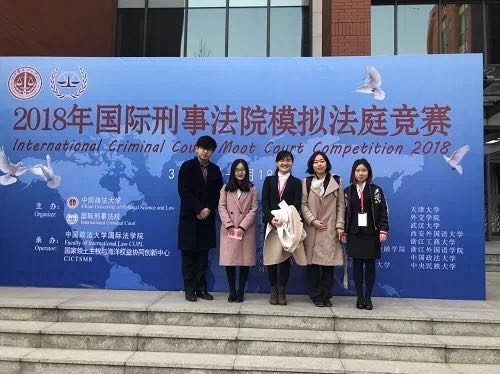 Outstanding international legal talents with outstanding ability and broad vision are the top priority in the internationalization of Peking University Law School. Peking University Law School is committed to providing the most international development stage for students, creating an atmosphere of international law education, encouraging every student to step out of the campus, out of the country, towards overseas, and deeply understand the international legal system and social culture. At Peking University Law School, every student has the opportunity to receive legal education from the international elite. Overseas learning and communication programs are rich and diverse and open to every student fairly and fairly. According to incomplete statistics, nearly 200 students from Peking University Law School participate in overseas learning and exchange programs each year, which is unmatched by other Chinese university law schools. 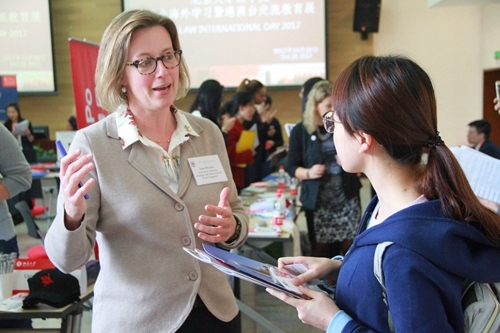 Nearly 60 well-known law schools at home and abroad have established student exchange programs with Peking University Law School in North America, Europe, Asia and Oceania, including Columbia University、Duke University、Cornell University、Georgetown University、The University of British Columbia、Leiden University、The National University of Singapore、University of Tokyo and other world ranking universities in the forefront of law school. 4+1：Undergraduate students in grade four are recommended to go to famous universities abroad to study for LL.M. degree. 1+1+1/1+1+2：Postgraduate students in grade two are recommended by the Institute to go to famous universities abroad to study for LL.M. degree. 22 internationally renowned law schools LL.M. degree program. The college's direct recommendation simplifies the application process. Two graduate certificates can enhance the competitiveness of employment. 22 prestigious law schools from home and abroad provide the university students with the opportunity to study the LL.M. program, including University of Pennsylvania, Cornell University, Washington University in St. Louis, University, etc. Among them, 17 well-known law schools offer full tuition scholarship or part scholarship to PKU law students. Cold and summer vacation time is fully utilized. Focus time on short-term learning. The form of learning is rich and varied. All or part of the tuition fee remission. And the opportunity to practice in many famous foreign law firms. In order to broaden the international vision of the doctoral graduate students and cultivate a high level of academic talents, Peking University Law School and a part of the famous law school in Europe and the United States, including the Humboldt-Universität zu Berlin, Faculty of Law, Julius-Maximilians-Universität Würzburg, Faculty of Law, The University of Trento, the Faculty of Law. Of Law has set up a joint training PhD program. The doctoral students can apply for "joint training" to the cooperative colleges with the consent of their tutors. Cooperative institutions will be equipped with mentors according to the specific conditions of the doctoral candidates. Doctoral candidates can participate in doctoral defense at Peking University and cooperative schools, and receive dual doctoral degrees. Some well-known American university law schools also receive doctoral candidates from Peking University law school every year as visiting scholars or lecturers for research or teaching. The office of foreign affairs of Peking University Law School is a window for the international cooperation and exchange of Peking University Law School. It is responsible for the maintenance and expansion of overseas cooperative resources, the creation and implementation of international cooperation projects. The international cooperation team loves law education, invites outstanding students to participate in the work and work together to create high quality international resources and international exchange learning opportunities for teachers and students of Beijing University of law. The office is located in the double courtyard of Beijing University of law. The environment is elegant and impress the visiting international friends. 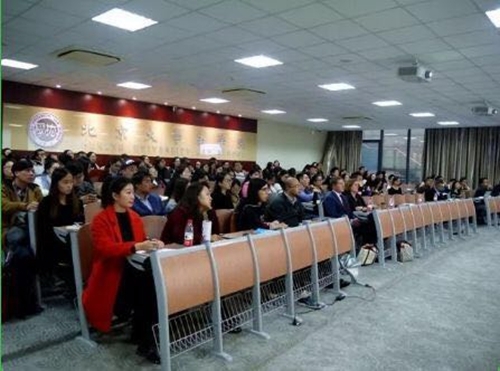 Peking University Law School holds "Study Abroad Orientation" every year. Through a comprehensive and systematic introduction to the various overseas exchange learning projects of the college, it invites the exchange of students, visiting international students to share the valuable experience of overseas study, and to create an in-depth understanding of overseas study for students. A high quality platform for information. In addition, the college also invites foreign teachers to help students to modify the application documents such as resume and personal statement, provide the students with the most accurate guidance for international communication applications, and create good conditions for students to apply for overseas exchanges and open up an international field of vision. Peking University Law School founded the first international day (PKU Law International Day) of Peking University Law School in October 2017 to broaden communication channels between the college and well-known law schools at home and abroad to facilitate students to know the universities and colleges at home and abroad. More than 100 representatives of the cooperative colleges and Universities attended the activities. The "International Day" activities will also become the annual important work of the international exchange and cooperation of Peking University Law School, which will be held in October each year. A total of 9 high quality undergraduate exchange projects have been selected for the international exchange project of the national study foundation of the national study foundation of China for the international exchange project of the outstanding undergraduate students in 2018. The project has been supported by the state foundation for studying abroad. A total of 13 outstanding undergraduate students have been studying abroad for one semester under the aid of the scholarship. 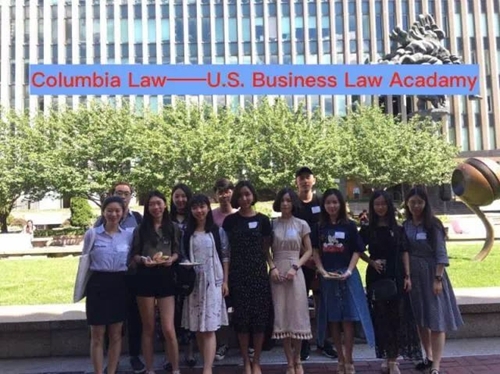 These world-renowned colleges and universities include:Columbia University Law School、New York University Law School、University of California, Los Angeles, Law School and so on. Under the strong support of the Jingjiang municipal government of Jiangsu Province, Jiangsu new century Shipbuilding Co., Ltd. and Jiangsu Jiangshan Pharmaceutical Co., Ltd. jointly financed 10 million yuan to set up the international exchange Award for the Jingjiang Youth Legal leaders, and special support for the international exchanges between teachers and students of Beijing University of law and students. E. And other travel scholarships that support students' international exchange. Students from Peking University law school take the platform built by the college as a starting point and move towards a bigger world stage.